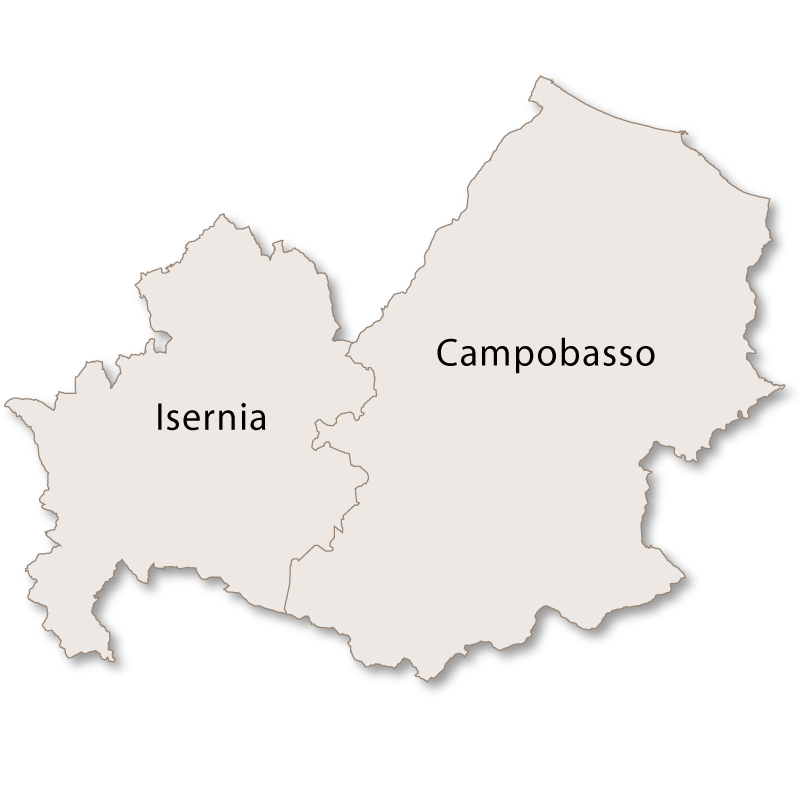 Isernia is bordered by Abruzzo to the north, the province of Campobasso to the east, Campania to the south and the tip of Lazio to the west. Covering an area of 1535 sq.km it is predominantly mountainous except in the southwest where the mountains give way to hills and plains. The highest peak in the province is Monte Mare which is 2,020 metres above sea level. From this peak, on a clear day, you can enjoy far reaching views to the west as far as the Tyrrhenian Sea. 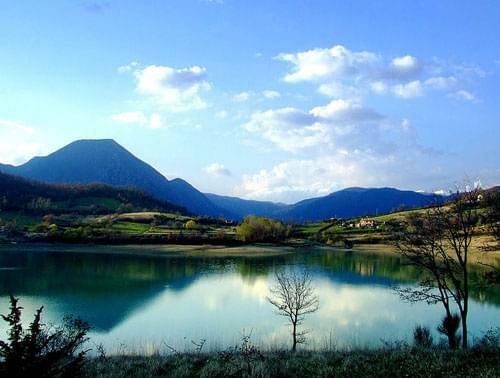 The only lake in the province of Isernia is an artificial one which was created in the 1950's. Lake Castel San Vincenzo has an area of 6,140 sq.km and was constructed in order to produce energy through hydropower. It is a welcome addition to the area, blending perfectly into the natural landscape and is a popular picnic and walking spot for families. 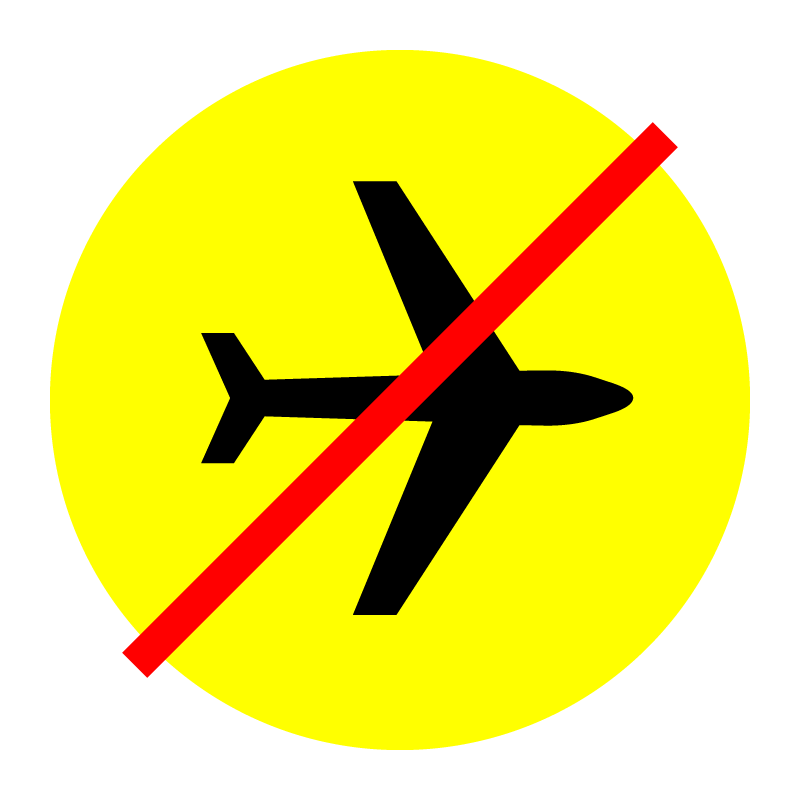 The province has little or no industry and relies almost entirely on tourism. On the southwestern plains there is highly developed agriculture with the production of wheat, corn, maize and olives (which are made into oil). One small area in the south, close to the border of Campania, produces Buffalo Mozzarella and it is the only place outside the region of Campania with official permission to do this. 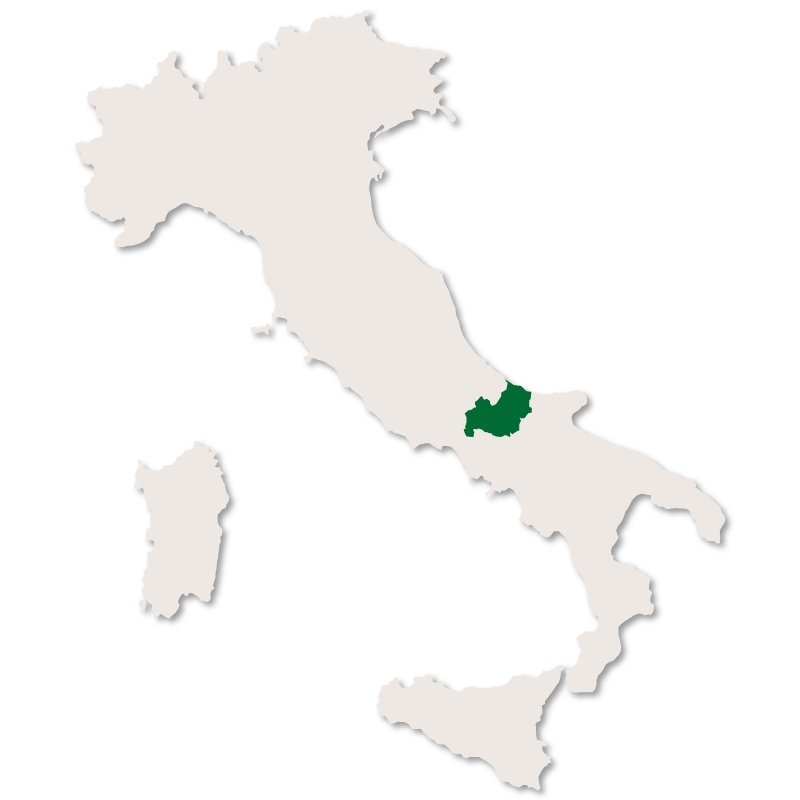 Truffles are also found here and the white truffle of Molise is highly prized and accounts for 40% of the market. It is a delightful region full of natural beauty with many of the little hilltop towns provide interesting days out. A large number of them still maintain the old traditions and ancient craftsmanship and produce interesting articles such as bagpipes, bells and knives. 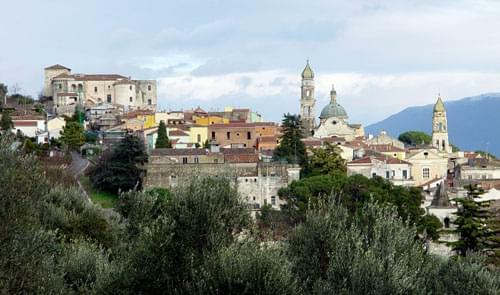 The capital city of the province of the same name, Isernia rests on top of a rocky crest reaching an altitude of 475 metres above sea level. It is sandwiched between two rivers, the Carpino and the Sordo and still has the layout of an ancient Roman town. The city was badly damaged during World War Two in September 1943. On the morning of the 10th September American planes dropped bombs over the city on market day which caused thousands of deaths and a great deal of damage. Over the following weeks they bombed the city twelve more times in an attempt to destroy the bridges of Isernia, Cardarelli and Santo Spirito which were vital for the Germans to retreat. They never hit the targets but caused a great deal of death and destruction to the city. There is consequently very little of the original city left although there are still some preserved archaeological remians. La Pineta is an excavation site covering 20,000 sq.m and containing thousands of bones and stone tools. It was discovered in 1979 by a man who noticed a bone sticking out near where they had started to construct the motorway. 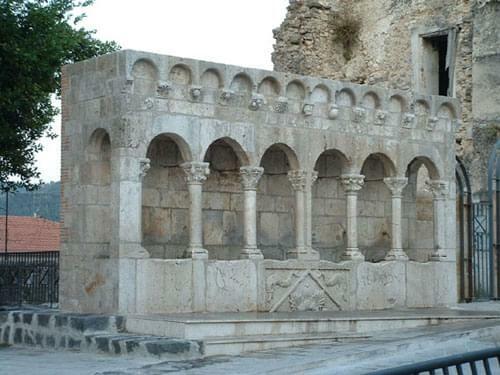 There is also the Fontana Fraterna which is a public fountain with six water jets, an unusual shape and is made from Romanesque stones. It was successfully restored in 1835. Venafro is the second city of the province of Irsenia and spreads across the foothills of Mount Santa Croce which has a peak of 1026 metres. Although the city suffered heavy bombardment during World War II and was severely damaged by an earthquake in 1987 it still retains much of its original architecture. 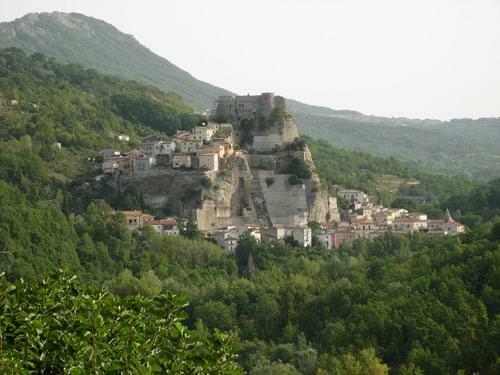 The old historic centre, which was originally Roman, is walled and dominated by the Castle Pandone. The magnificent tall buildings in the old town have shops and businesses on the lower floors while the upper floors are residential. Castle Pandone - orginally built in the 10th century with three circular towers being added in the 14th century and a moat in the 15th century. Part of the interior is now an art gallery with paintings and works of art that have been gathered up from abandoned and closed churches in the area. Venafro Cathedral - dates back to the 5th century but has had many renovations over the years. The other religious building of interest in Venafro is the Church of the Annunciation which was built in the 14th century and is a fine example of Baroque Architecture. This church has a large frescoed dome which is visible from all parts of the city. There is an archaeological musuem 'Museo Archeologico Nazionale di Santa Chiara' in the old town which contains many Roman artifacts, some dating back as far as the 2nd century. Just behind the cathedral is the Parco Oraziano which is the Regional Agricultural Historical Olive Park of Venafro and is the first parkin the Mediterranean to be totally dedicated to the olive. The New Town of Venafro consists of several newly developed neighbourhoods, in the middle of which are the remains of the Verlasce Roman Amphitheater. It is believed that in its time it had the capacity for 15,000 spectators. A large village with good examples of medieval style architecture and nineteen churches. The thing it is most famous for is the manufacture of bells with the Marinelli Bell Foundry being one of the oldest companies in the world. The same family have been running the foundry for one thousand years and made the bell for the Leaning Tower of Pisa. They have a musuem with a good display of the history of bells and you are also able to watch skilled craftsmen making them. Only 25 km from the city of Isernia this unusual small, medieval mountain village is located right in the heart of the rugged Volturno Valley. 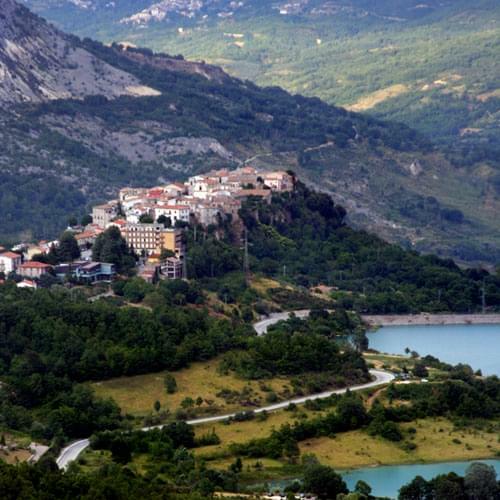 The village is believed to date back to the year one thousand with its name being taken from the numerous surrounding Cerro (Turkey Oak) trees. It is an extremely picturesque and eye catching little village which from a distance resembles a film set. 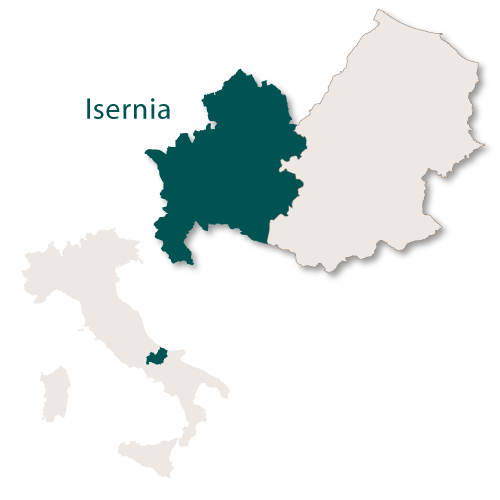 Twenty kilometres east of the city of Isernia, Frosolone is famous for its production of knives and scissors. There is a museum dedicated to the traditions of this craft and a statue in the centre of the town reminding everyone of the great lineage of blacksmiths in the village. It was almost destroyed in 146 it was the epicentre of an earthquake. The village was hit by an earthquake again in 1805 when all the buildings in the town were destroyed and 518 people were killed. 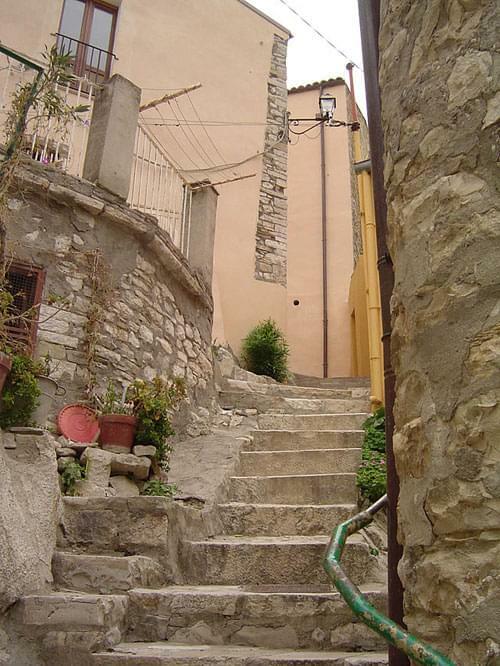 This interesting, historical village is situated at the bottom of a group of towering rocks called 'Morg Caraceni'. On the outskirts of Pietrabbondante, at almost 1000 metres above sea level, are the remains of a Samsonite religious complex. This consisted of a theatre, a temple and two arcaded buildings on each side. Work is said to have started on this complex during the 2nd century BC but it was not finished until 95 AD. It was built to accommodate recreational activites as well as being a place of worship. Once famous for the production of bagpipes, this village now draws visitors to its bagpipe museum (Il Museo della Zampogna) and to its bagpipe festival in the summer. This festival is held annually in July and attracts pipers from all around the world who come and perform during the festivities. 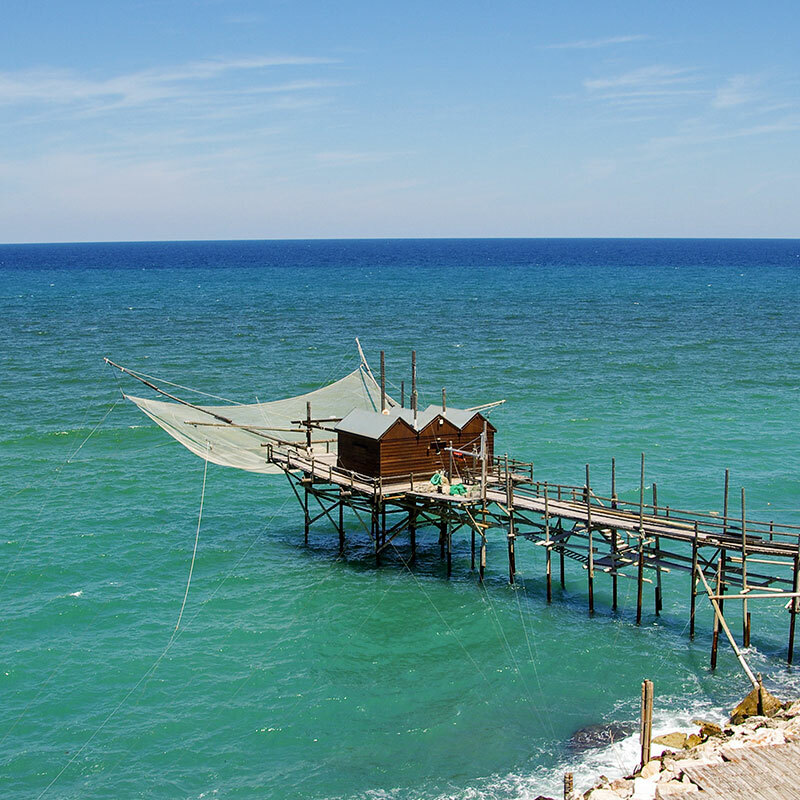 This small village is a popular tourist spot in the summer months due to its proximity to the Monastery of San Vincenzo al Volturno and the adjoining lake. Capracotta Lying at 1,421 meters above sea level this is the highest village in the Apennines and the third highest in Italy. It is an important ski resort and is renowned for alpine skiing and cross-country skiing. The Italian cross country championships were held there in 1997. Limosano is a totally unique medieval hilltop village with the external structure of the houses remaining totally unchanged while the interiors have all been modernised. Guardialfiera An ancient village built on a hillside overlooking the artificial Lake Guardialfiera. The main church, Santa Maria Assunta, dates back to the 11th century and was built from 7th century stones, many of which have Pagan and Early Christian engravings. 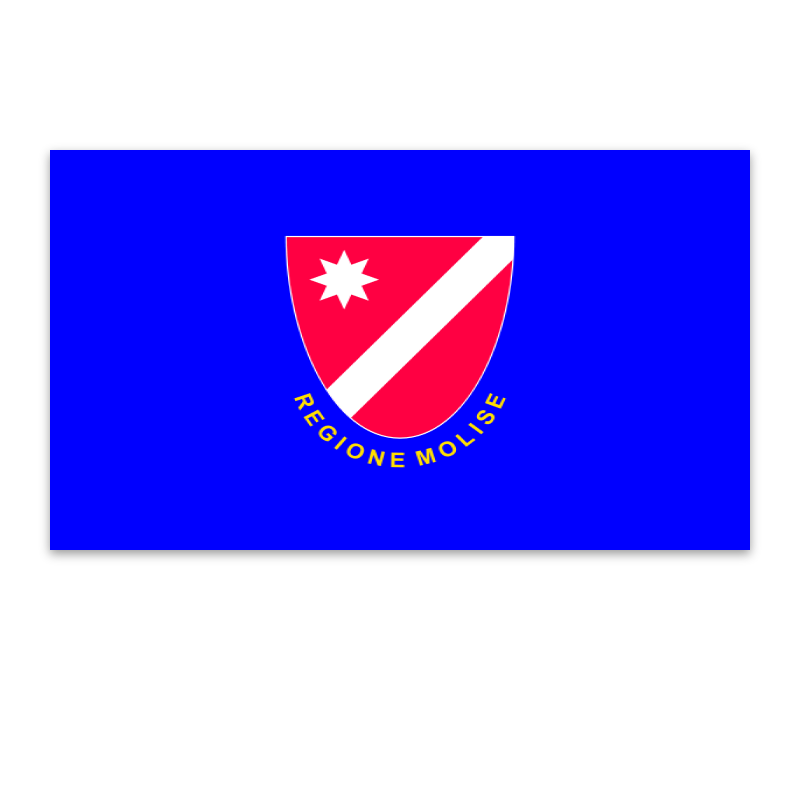 Like many other towns in Italy now, particularly in the south, Larino is really two small towns, the old town and the new town. The new town here actually has a different name, Piano San Leonardo, and is built on the side of a mountain. The old town, when seen from above, is shaped like the wing of a bird. There is a first century Roman amphitheatre built into a natural depression in the terrrain and which could seat up to 12,000 people. The 10th century cathedral is considered to be one of the finest examples of Gothic architecture in Italy.